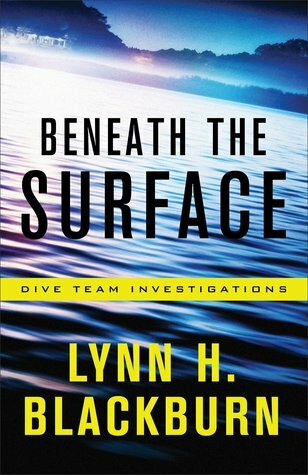 Beneath the Surface (2018) by Lynn H. Blackburn is the first book in her Dive Team Investigations series. Beneath the Surface released this past March 6th, and can be purchased wherever books are sold. This book comes in all forms including eBook, and is 352 pages in length. With a full-time job and a precocious five-year old at home, this story took me two days to read. I received a review copy of this novel in paperback form from Revell Books. In no way has this influenced my review. The opinions expressed in this review are my own. I give Beneath the Surface 5 STARS. This story is a Christian Romantic Suspense. Whoa! Whoa! WHOA! Beneath the Surface is an edge-of-your-seat, nail-biting page turner. I was hooked from page one, and genuinely could not figure this story out. The writing is flawless, the suspense is INTENSE, and the cast of characters is great. The Investigative Team that we meet in Book 1 — Ryan, Gabe, Anissa, Adam, and Sabrina — is so diverse and unique. This is the book you read late into the night saying, “Just one more chapter. I can do just one more chapter!” Before you know it, it’s midnight and you realize your alarm is going to go off in a few hours. I definitely lost track of time reading this one. The characters in this story have a true relationship with God that is showcased throughout the entire book. It’s illustrative of the honest relationship we all should have with God. God is in this book all over the place: in Ryan’s cop car as he is driving to a crime scene, in the Emergency Department room when Leigh is working on a patient, around the dinner table as Ryan, Leigh, Gabe, Anissa, Adam, and Sabrina break from their work to eat a quick meal, and in the dark, scary moments when things don’t look so good for some of the characters. What I like so much is the example these fictional characters set for the reader. It’s subtle, but honest. The characters each relate to God in different ways, and have their own unique ways of praying, but they all relate to God as He wishes us to — as if He is physically standing next to us waiting to hear our prayers and thoughts. When Adam is frustrated, he yells at God out of frustration. When Leigh is scared, she prays desperate prayers. When Anissa prays before meals, her prayers are strong, sure, and confident as she speaks to her Lord. And, when the characters are confused and need answers, they go to God trusting He will give them the answers they are looking for in His time. At one point, Ryan is scared and frustrated and he starts to doubt, but he stops himself immediately and say, “NO! God’s got this.” And, then he confidently goes back to work. These excellent examples of relating to God throughout this book is my favorite part of this story. Such a great reminder to me to always be relational to God. God doesn’t want robots. He wants us in each and every moment — the sad ones, the frustrated ones, the happy ones, the boring ones! Lynn H. Blackburn is TALENTED! I have a MA in Literature. I can pretty much figure out a story 1/4 to 1/2 way into it. If it’s a TV show, I have those figured out by the first commercial break. It actually drives my husband crazy. I don’t say this to brag, I say this to express just how impressive Lynn’s writing skills are. There are so many twists and turns and trails in this narrative! I kept telling my husband, “I think I know who did it”…and then I was totally wrong. I was wrong the whole time!!! It was AWESOME. The intrigue and mystery are so flawlessly written, and this is what makes this book a page-turner. “One more chapter,” I would say to myself just because I so desperately wanted to get to the finish line. I needed to know who the murderer was! Beneath the Surface is the first book I have read by Lynn H. Blackburn, but it will definitely not be my last. 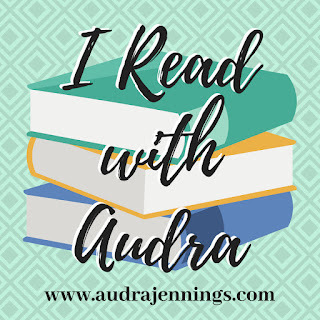 Ms. Blackburn, your are a stellar storyteller, and I cannot wait for Book 2 in this series, In Too Deep. If you are looking for a harrowing and gripping story that will keep you turning pages way past your bedtime, then I cannot recommend Beneath the Surface enough. Run to your nearest bookstore today and get this book. You will not be disappointed. Oh, it was so good! I cannot wait for the second book. Aw! Thanks for reading my review. I loved your book so much. I’m very excited for book 2 and 3. I’m sure I will love them!! !